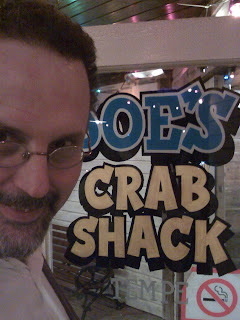 Over the last few years since we have discovered Joe's Crab Shack, My brother Steve and I have been awful to each other... mainly for the fun of it. 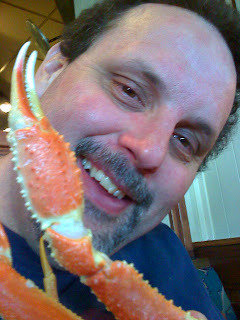 Snow crab legs are about my favorite food in the whole world, and Steve has the same feelings over crab, Danneel and Linzy too. 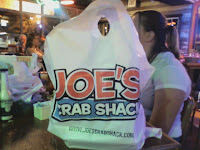 Well whenever one of us is having crab for dinner we send each other a picture text of where we are and what we are eating. We are bad to each other that way, but like I said it's fun. Usually there is a comment or picture sent back in reply. 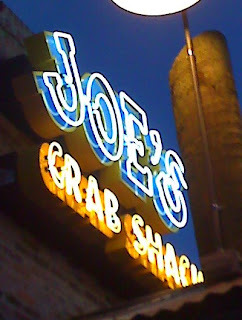 Our code word for Joe's is St. Joseph's Temple of the Immaculate Crustacean, and yes... we worship there in a gastronomical theocratical sort of way.... so to speak. Anyway, we rub it in. 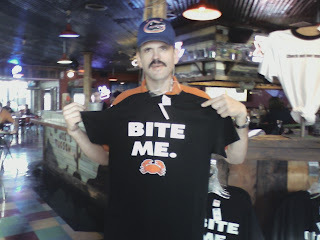 Steve is of Old Bay seasoning philosophy, where I am of the barbecued snow crab. Every now and then even good ol' steamed is good with a bowl of melted butter. Nothing is better! 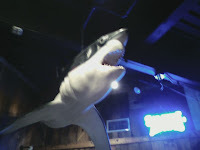 How DARE you eat there today with out me! 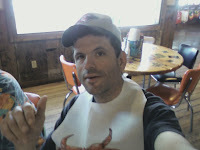 I sure could use some CRAB 'bout now.